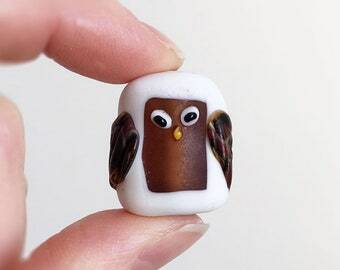 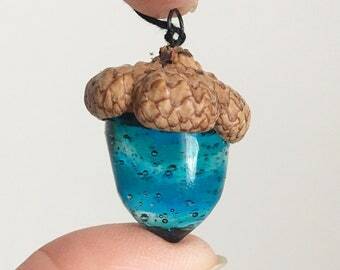 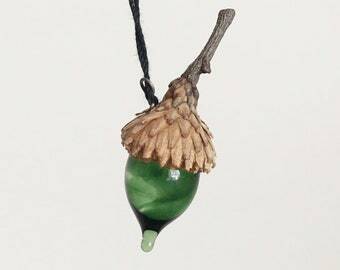 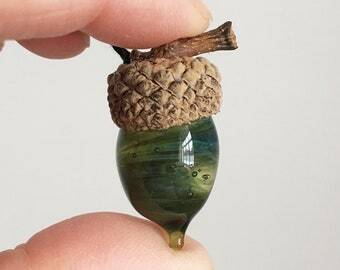 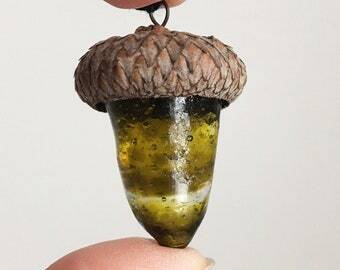 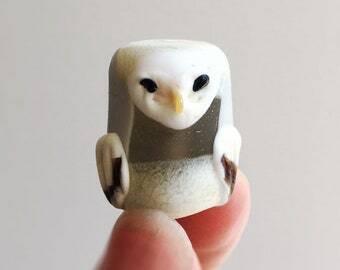 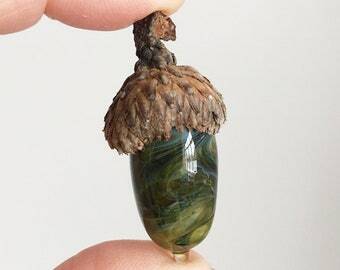 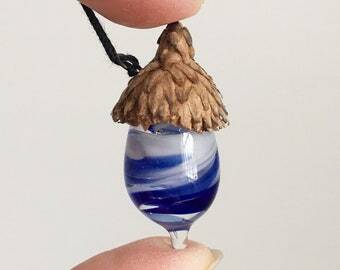 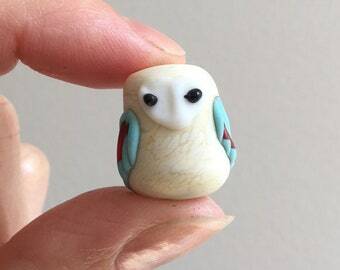 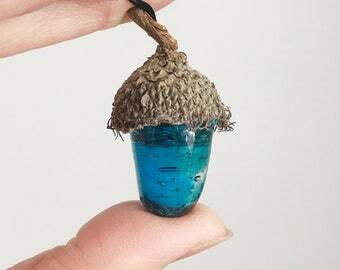 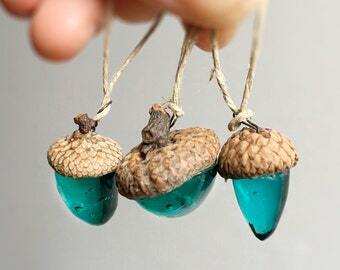 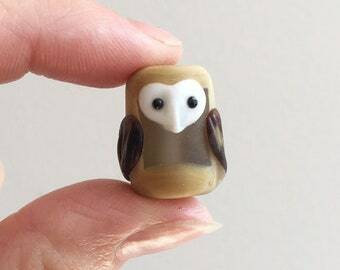 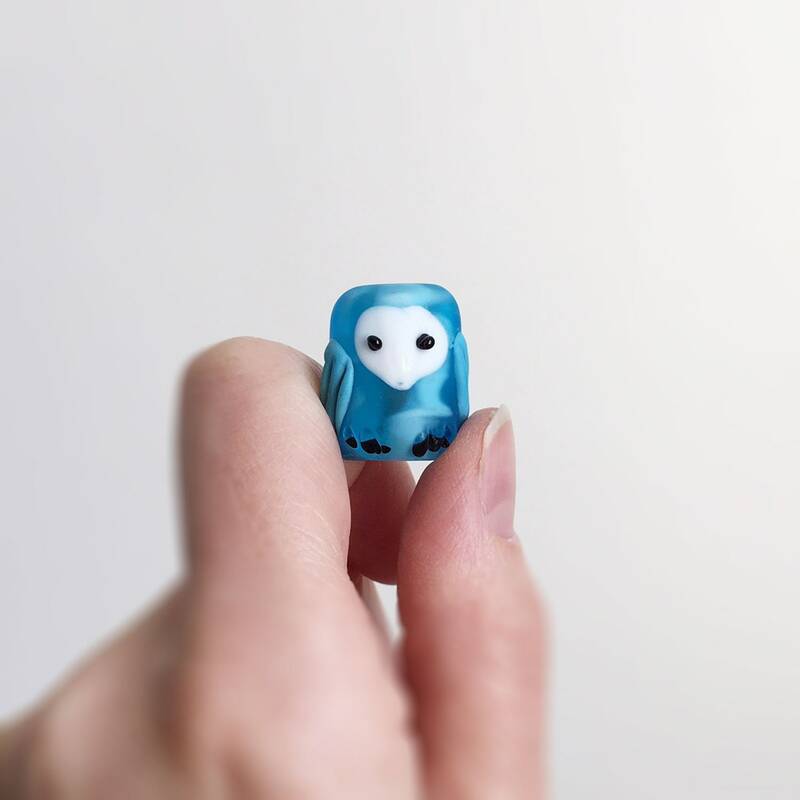 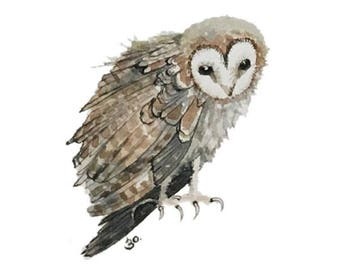 I made a limited collection of tiny glass owls. 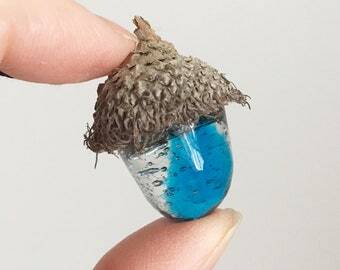 This one features a beautiful monochrome blue mix of aquas and turquoise, in both opaque and translucent hues. 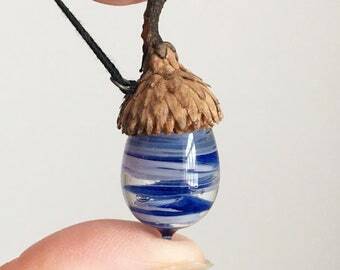 Its functionality is as a bead, and it has a hole going right through the center, but you can have it as a sculpture decoration instead. It is acid-treated for a matte finish.